People are talking about Pono! In November 2016 Pono visited Susan Ryhanen at Saipua in Red Hook, Brooklyn, to learn the science of soap making. Sarah Ryhanen, Saipua's founding director, captured Susan and the children engrossed in a chemistry lesson. Roopa Reddy is an educational researcher, who explores models of schooling in different parts of the world. 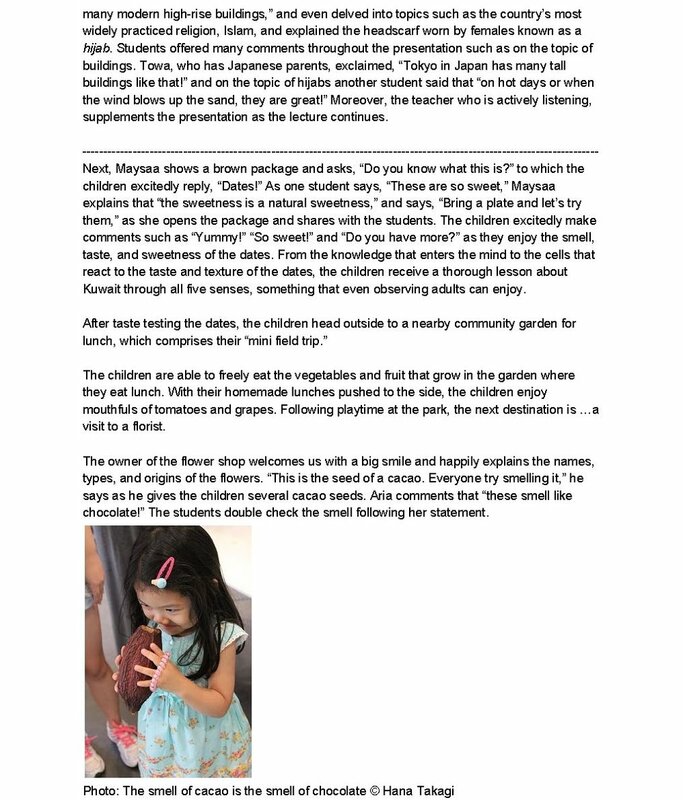 She spent a day with Pono in May 2016 and made "Listening to Children (Outdoor, Democratic Education): Pono, New York City," a short video about her visit, which she has posted on her blog. The following is a translation. The original article in Japanese was published in Agrospacia.com on September 8, 2015. The following is a translation. The original article in Japanese was published in Agrospacia.com on October 13, 2015. The following is a translation. The original article in Japanese was published in Agrospacia.com on October 18, 2015. The following is a translation. The original article in Japanese was published in Agrospacia.com on October 30, 2015. Award-winning artist Christopher Silas Neal has illustrated the children's books Over and Under the Snow, Lifetime, and Go to Sleep, Little Farm, favorite titles in our Pono library. He is also a regular contributor to The New York Times and The New Yorker. In October 2014, Chris spoke to Pono children about his work and led the students in creating their own artwork. Pips+Beck is a bilingual (English/German) blog run by two mothers, one living in New York City and the other in Bremen, Germany. They included a piece on Pono in September 2014. Please note that Pono no longer requires a parent to stay with his or her child for the first nine weeks, although parents are always welcome at Pono!